The US Department of Labor recently issued its Final rule on Association Health Plans. 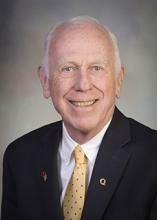 And North Dakota Insurance Commissioner Jon Godfread believes it will help some people find affordable health insurance. Godfread said this will help a segment of the population that he believes was overlooked in the Affordable Care Act. Open enrollment for health insurance begins Wednesday. It’s a short window – open enrollment closes December 15th. North Dakota Insurance Commissioner Jon Godfread is urging those who will purchase insurance on the individual market to shop for the best plan. "If you do not receive a subsidy, but you're in the individual market, you need to go out and shop, Godfread said. "It would be a pretty good idea, in my opinion, to go out and meet with an insurance agent and really walk through your options." Sanford’s TRUE plan will be available in Traill, Cass, Oliver, Burleigh and Morton counties. North Dakota Insurance Commissioner Jon Godfread said this follows his announcement last week that he would not re-open a rate discussion after President Trump signed an order ending cost-sharing reduction payments to insurance carriers, to reduce rates for lower-income subscribers. North Dakota’s Insurance Commissioner said health insurance companies are wondering if the “CSR” payments from the federal government will continue. “CSR” stands for “Cost Sharing Reductions.” It’s part of the Affordable Care Act. Insurance companies get direct payments to help low-income people cover the costs of co-insurance and deductibles. President Trump has threatened to withhold those payments, after attempts to repeal and replace the ACA have failed. The House has approved a bill to have the state adopt a self-insurance health plan for state employees. Right now, Sanford Health is the insurance carrier. It has a contract until 2019. The bill would end the contract by January 2018. Supporters say adopting a self-insurance pan would save the state $12 million, and employees would not see a change in coverage. "We have a responsibility to our hard working public employees to get them the best health care coverage possible," said Rep. Mike Lefor (R-Dickinson). "That's the number one goal"
Sanford will continue to provide health insurance for state workers – for at least two more years. In 2014, the North Dakota Public Employees Retirement System changed insurance carriers, picking Sanford over Blue Cross-Blue Shield. The contract runs 6 years – but the Legislature passed a bill requiring a review every two years. PERS director Sparb Collins said the bill laid out the review process, and if the board elected not to renew, there would have to be a new bid. Collins said the Board found no reason to disconyinue the contract. An interim Legislative committee is looking at wellness programs – and how they could be made part of the health insurance plan for state employees. "Are they effective?" 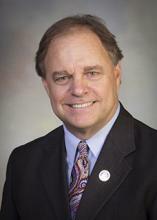 said Rep. George Keiser (R-Bismarck), the chairman of the interim Health Care Reform Review Committee. "If so, what are the advantages to the employees, and what are the advantages to the employer?" Keiser said the Committee is exploring various options to consider.